You Don't Care About This One Bit. Which Is Why You Should Watch It. I’d like everyone I know to watch this clip. 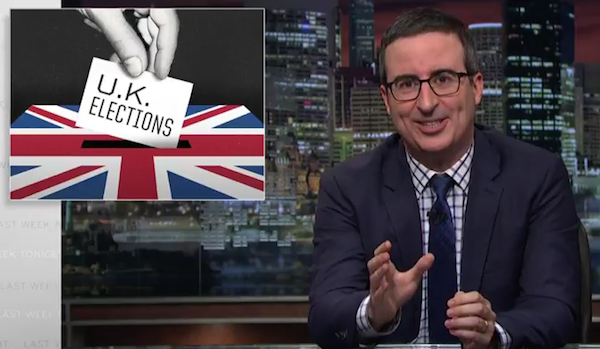 (Spoiler Alert… it contains some salty language…) In this video, John Oliver from HBO’s “Last Week Tonight” explains the latest developments in the United Kingdom, a “snap election,” most importantly in regards to Brexit. Yes, folks, this is a video about something that largely does not affect most Americans on a daily basis. Most of us could not honestly state what we have at stake regarding Brexit, including me. And that’s precisely why I want you to watch it. I wasn’t sure what to think going in. Chances are, you weren’t, either. But it’s an opportunity to look at how some of us get our news and analysis, and it’s illuminating. Please I beg of you, watch this. The right wing in the US talks about “fake news” and complains that the left gets its information from fake, silly sources. Condemning major news sources like CNN, MSNBC and others is ridiculous, especially given the blatant, obvious, blatantly obvious, obviously blatant conservative slant of Fox News. But I can sort of see, a tiny bit, how you can toss off our love for Keith Olbermann, Samantha Bee, Trevor Noah, Seth Meyers, or Tom Tomorrow, and (finally what took him so long???) Stephen Colbert. They’re just making a bunch of jokes, right? 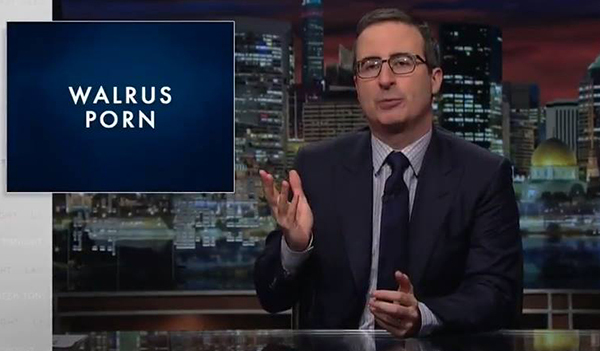 So, here is John Oliver explaining something you know or care very little about. It’s funny, it’s ridiculous, and it is… very informative. Deeply informative. You will actually learn a lot from this clip while being entertained. But in the end, it is a thoughtful, in-depth analysis of a news story, one that can’t be summed up in a Tweet. And you might even end up caring about this issue one way or another. We get the same thing from Olbermann, Bee, Noah, Meyers, Tomorrow, and Colbert. I’d rather sit through a 12-to-20 minute segment of news analysis with jokes than to claim to get my news from 140 characters of incomplete sentences and dubious sources. The takeaway is that an entertaining news source with some jokes and entertainment added can still be a valid, smart, informative place to get your news. And by the way, Olbermann isn’t even trying to be funny anymore. It’s that serious. I’ve mentioned this before… I do check in with Fox News on a daily basis to see how they spin any major story (spoiler alert… it’s usually the opposite of just about any other source). It hurts my head to do it, but I do it. I really want to understand how some of you came to believe the reality that you sincerely think is real. I’d like you to do the same for me. Dig deeper. Look at the other side. Spend time thinking instead of being told what to think. Previous Previous post: “Make Hay While the Sun Shines?” No, You Do It, I’m Busy!